Book Review: Why You Should Check Out “102 Ways to Save Money For and at WDW” by Lou Mongello! As a real Disney and WDW geek, I read a lot (A LOT!) of Disney related books, even travel guides, despite the fact I’ve been so many times I seldom find anything new in them. 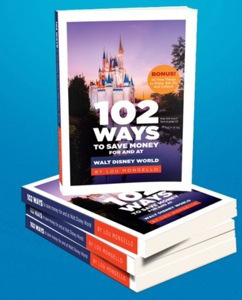 I recently had the chance to read a copy of Lou Mongello’s new book “102 Ways to Save Money for and at WDW”. Right away, I will tell you it is one of the best travel guides I’ve ever read about WDW. For those who may not know, Lou is a prominent member of the Disney community, with an award-winning podcast, books, audio walking tours and videos that many look to as a go-to source of Disney information. What I really felt set this book apart from any other travel guide is you can sense Lou’s lifelong love for WDW, and as he dispenses tips, info and insider tricks you don’t feel you’re reading a travel guide as much as you feel a friend is telling you the best way to get the most from your trip. “102 Ways” starts out by explaining the seeming odd choice of “102” as the number of ways to save money. Lou explains that “102” is actually Disney code for an attraction that is up and running after being out of service. From there it progresses into all the ways you can start preparing and saving for your trip months before you leave. Following a logical progression of order, Lou establishes some simple but very effective techniques to get the most value from your WDW vacation. Under headings like “The basics”, “Before You Go”, When to Go” and “How to Go”, strategies are laid out to maximize value in everything from hotels to tickets to travel packages to shopping and a lot in between. One particularly valuable tip comes from Chapter 6 regarding annual passes, and evaluating their strategic purchase was nothing short of brilliant. The book lays out a strategy with annual passes that shows how they may be your most cost effective way to get your admission tickets even if you are someone who only goes to WDW once a year! Think staying off-property is the best use of money for your trip? You may want to check out Chapter 7 and learn how you can sometimes be money ahead not only staying on property, but even staying in a concierge level room! 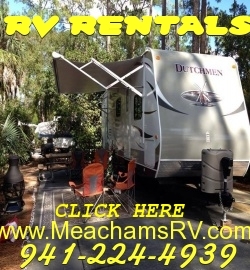 Other on-property amenities like free parking, transportation to and from the airport and within the Disney complex are factored in to let you evaluate in a real world way how to get he best value for your personal stay based on your preferences. The book goes on to discuss other important areas of your trip to save money, from whether or not to book a trip with a travel agent to saving on dining, shopping, how and what to pack, and as a bonus, the book ends by giving you a list of 40 FREE things to do, get, see and collect during your stay. In my conversation with the author Lou Mongello, I told him the same thing I’ll tell you: as a long-time Disney Geek, I just don’t typically read guidebooks anymore. I’ve been to WDW so many times I just haven’t felt the need for a guidebook. 102 Ways showed me otherwise. Even a long-time seasoned Disney vet can learn some tips he’s never thought of using. I know I did. If you’re planning a trip and are new, have been before, or have even been many, many times this book is for you. I wholeheartedly recommend it. And author Lou Mongello has enough confidence in his product that if you don’t save at least the price of the book during your visit to WDW, he will happily refund the purchase price…how can you lose? Thank you so much for the great review, Rod! Glad you enjoyed the book and I appreciate you sharing it with your readers!! You’re welcome, Lou! Great book! You’re welcome, Lou! Great read! I am definitely check this book out. I thought we had found every tip there was to saving money while visiting Disney. You now have my curiosity stirred. Thanks. as always, I love your blogs and podcasts. Always interesting and informative.